One of the best things about going on vacation is that I get to have some of my great friends share a recipe from them with all of my readers. Mel knows me well, I love chocolate and peanut butter anything and this dessert is sure to hit a home run with your family. Thank you so much Melissa for taking time to share this recipe with us today. Can I just start off by telling everybody how much I adore Sherron? 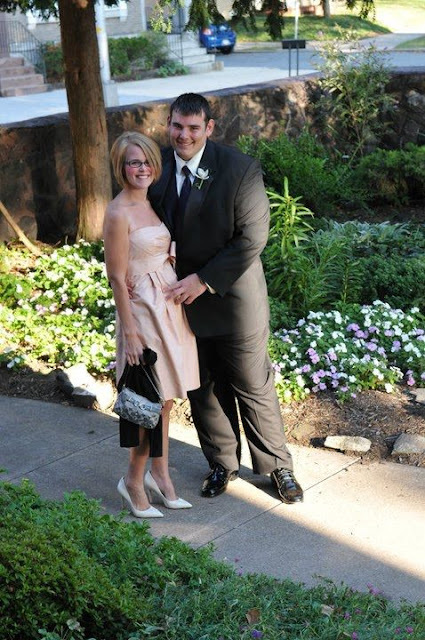 She was one of the first food bloggers I bumped into during the infancy of my website and cooking adventure. I could not have asked for a friendlier or more genuine person to know and I am so excited she has asked me to be a guest on her website while she is enjoying time with her family. With that being said, let me introduce myself: My name is Melissa and I am a 20 something food blogger from Northern Virginia and the creative genius behind Cooking with Mel. I started my website to chronicle my pilgrimage toward cooking perfection. It has been quite the journey and I learn something new all of the time! When I am not busy in the kitchen, you can find me playing with my two Yorkshire Terriers – Pippy and Sophie – or debating the politics of the world with my Veteran boyfriend, Nick. I love experimenting in the kitchen and the recipe I have for you today is my newest favorite! 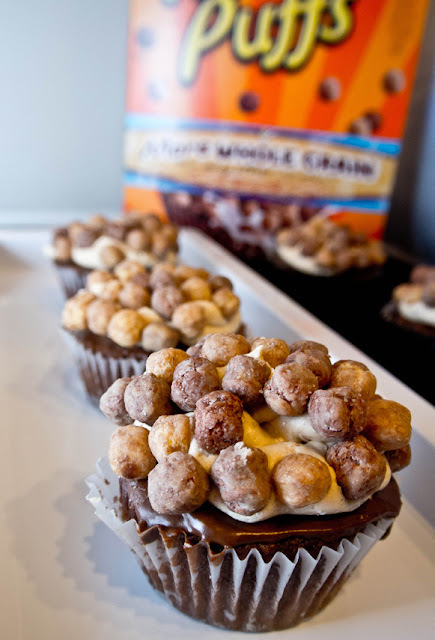 Take a look at these delicious Reese’s Puffs Cupcakes. ::drool:: They will be perfect for any gathering you are invited to this summer!